Bilaspur: India’s batting sensation, Yuvraj Singh, today officially launched his cricket academy Yuvraj Singh Centre of Excellence (YSCE) in association with Himachal Pradesh Cricket Association (HPCA) at Bilaspur. Surrounded by waters of Gobind Sagar reservoir, Luhnu cricket stadium offers a perfect setting for first class matches and training camps. 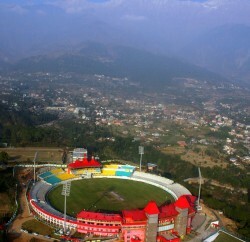 Yuvraj Singh said that Himachal Pradesh possesses talent and only need to furnish them into a quality player. 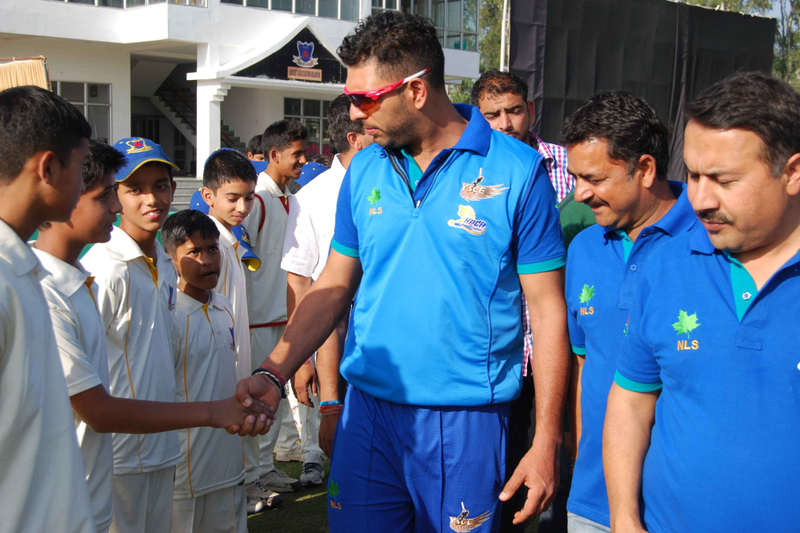 Yuvraj further added that YSCE academy at the Luhnu cricket stadium will be developed on similar model as the other YSCE centres. It will be fully equipped with modern bowling machines, video analysis, novel drills for the players, cross-over camps and guest coach visits at regular intervals. 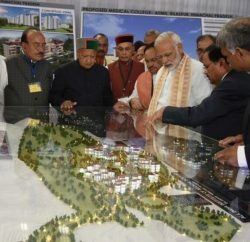 Anurag Thakur, President, HPCA hailed the development and coined it a moment of pride for Himachal. Thakur said that Yuvraj Singh experience will encourage budding cricketing talent of the region. Thakur ensured to provide best facilities and coaching to the cricketing talents. He hopes that association with YSCE will give good amount of exposure for the young players. Yuvraj Singh Centre of Excellence is currently operational across Delhi & NCR at four locations and one at Jammu. 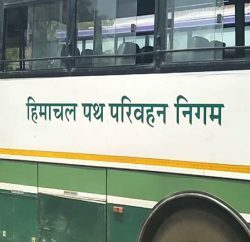 Amongst the four centres in Delhi, three are being run in partnership with Pathways World School and one with Jaypee Atlantis – The Club, Jaypee Greens. The KC Sports Club, Jammu recently launched the 5th centre. The centres currently train over 250 students in the state with ultra-modern training methods. They are also coming up with two more centres at Gwalior and Ambala.